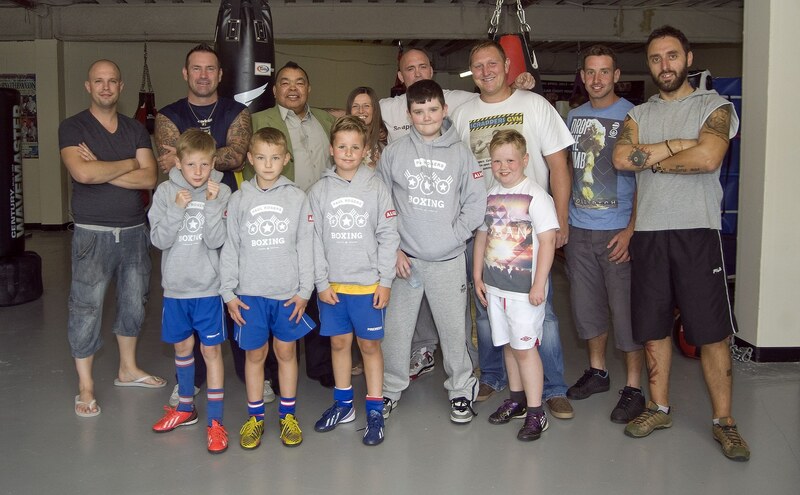 SCRAPSTORE's Scrappers Boxing Gym and community fitness centre open to all members of the community above the ages of 13. Bringing people together. Scrappers Boxing Gym provides the space for individuals and groups regardless of their experience in Boxing. Funded by the National Lottery People's Health Lottery and led by former ABA Boxing Champion, Paul Rogers. We believe that the skills you learn through boxing inevitably benefit you in everyday life as any type of self-control and discipline helps us to become better human beings and happier in our everyday lives. Our boxing groups are accesible to everyone and start from only £3 a session with services varying from personal gym use to women's boxfit sessions, personal training or group instruction. At Scrapper's Gym we have something for everyone and can make Boxing a healthy, expressive and productive part of your personal fitness and lifestyle. All it takes is to get in touch and get involved! Any questions you may have or to find out a bit more just call Livi at Scrapstore on 01793 513982. Or call Paul on 01793 335498 or 07505370383 to book sessions or find out more about personal training. For a Scrappers Gym Registration Form CLICK HERE, for more information about Scrapper's Boxing Gym and Personal Training services CLICK HERE or alternatively head straight to www.scrappersgym.com for further details. A healthier, stronger you starts here. We would like to ask all visitors to park at the rear of the premises near the Scrappers Gym entrance. New Extended Hours! Scrapper's Boxing Gym and Community Fitness Centre is now open extended hours!! For only £3.00 per session just come along and train with the support of experienced and qualified boxing and fitness coaches. In February 2013 Scrappers Gym secured £21,076 funding from the ‘People’s Health Trust’ using money raised by Health Strength Community Interest Company through The Health Lottery. The funding enables the ‘Scrappers Gym Project’ to provide a range of boxing and fitness related activities in a local setting for disadvantaged young people aged 13-25 and low-income communities in the Toothill and Westlea areas of Swindon. We offer FREE Boxing and Fitness sessions with a professional boxing coach and we would like to hear from any young people or groups that would like to participate. Just Contact Us! Names Left to right from the back: Dan Hart, Steve Kuenen, Ricky Porter (Patron), Olivia McCann (Project Manager), Steve Cooney (Volunteer Coach), Paul Rogers – (Volunteer Coach), Ryan Tancock, Vince Mancari, Tadg O'callaghan, Adam King, Alfie Burton, Reece Thirkettle, Jack Saxby. To see the rest of the article just click HERE!